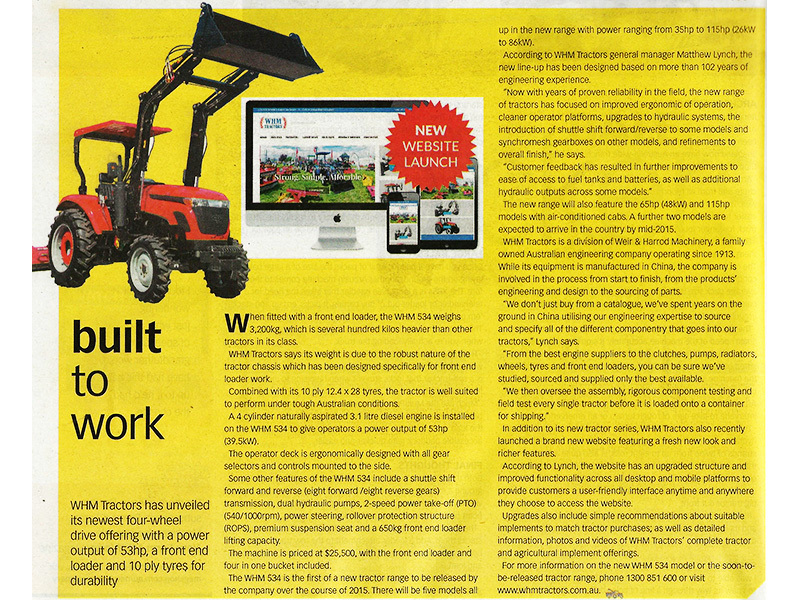 WHM Tractors’ new 53HP 4WD tractor has been featured in this months Farms & Farm Machinery Magazine. Issue 319 goes on sale 7th May 2015 from all good news agencies. Also check out the editorial on page 83. 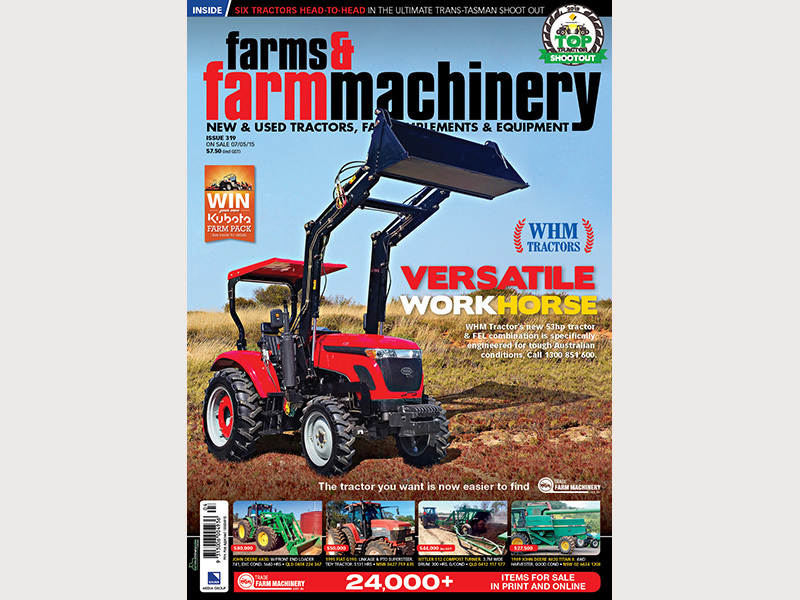 This entry was posted in Articles and tagged 53HP, Editorial, Farms & Farm Machinery, feature, Tractor. Bookmark the permalink.